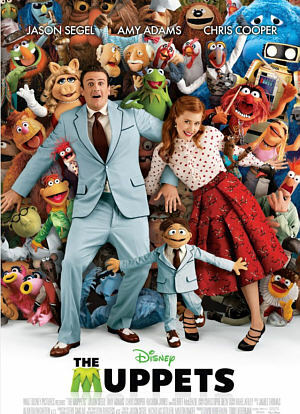 This has been a long time coming for Muppet fans such as myself, and it looks pretty good. I like that the flick plays on the idea that the Muppets aren’t actually famous anymore, as well as the attempt to get buzz going just as Muppet Studios actually had to do in real life by releasing the occasional viral video. Another plus is the continued tradition of celebrity cameos. Rashida Jones! Jack Black! Chris Cooper! Sarah Silverman! Doogie Howser! And a kid who I should probably know but don’t, for whatever reason! Disney is definitely praying that the Muppets can bring in audiences, particularly the young boys that Tron failed to bring in for them. With the right touch this could be a nice little franchise for the studio. A Thanksgiving release date, which is usually reserved for the creme de la creme, will certainly help. Comments for The Final “Muppets” Trailer Is Here are now closed.